When you travel to most parts of Borneo to observe the always-entertaining orangutans, you’ll mostly be watching groups of rehabilitated apes coming in to feed on platforms. There’s nothing wrong with that, but it’s not quite the same as heading out into the rainforest to spot the glorious great apes in their natural habitat. 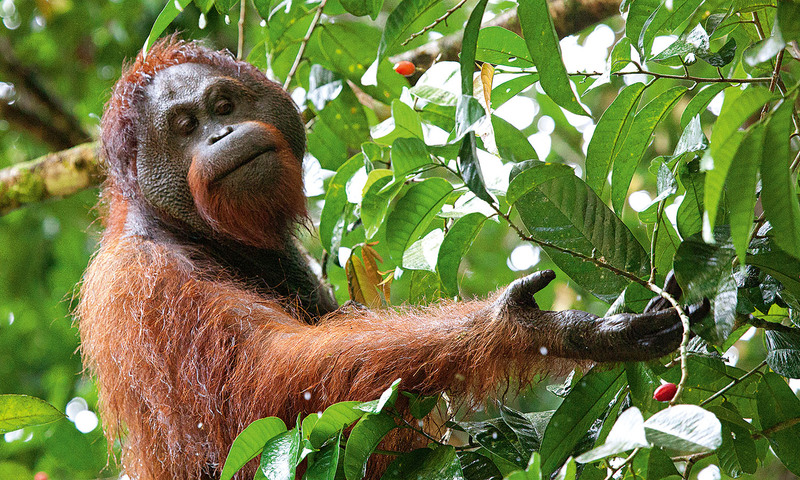 The Danum Valley Conservation Area is one of the few patches of forest in Sabah that hasn’t been inhabited by humans or pillaged for its natural resources (although it’s completely surrounded by commercial logging) and, as a result, is home to an estimated 500 orangutans. Trek through the jungle looking up into the canopies to spot the ’rangas, who tend not to pay very much attention to the strange creatures gawping and pointing beneath them. When the weather is dry and warm, there’s also plenty of other wildlife to spy, including pygmy elephants, sun bears and perhaps even the critically endangered Sumatran rhino. Two-night packages at Borneo Rainforest Lodge, where everything from guided treks to transfers is organised for you, start at about US$732 per person. You can also stay at Danum Valley Field Centre, a research centre where there is little more than a cafeteria. Beds in the hostel cost about US$20 a night.